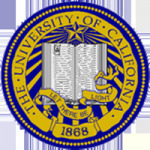 The University of California Education Abroad Program (UCEAP) offers study abroad opportunities in Beijing at Beijing Normal University, Tsinghua University and Peking University and in Shanghai at Fudan University and East Normal University. Since 1962, the University of California Education Abroad Program (UCEAP) has served as the UC systemwide international exchange program. Serving all ten campuses, UCEAP continues its support of the University of California’s mission through academic instruction and exchange relationships around the world. Currently active in 36 countries with over 250 program options, UCEAP: Partners with top-ranked universities, institutes, and faculty around the globe Offers diverse and comprehensive programs of varied design, duration, and location Integrates courses taken abroad into degree requirements, allowing students graduate on time. The program incorporates UC financial aid and scholarships to provide equal access for all UC students and encourages students to explore diverse linguistic, cultural, and intellectual traditions in local settings. - Focuses on Chinese language and cultural studies in Beijing, with additional courses taught in English or Chinese in select fields. - Join students from around the world in Beijing to explore the rich history, politics, society, culture, and language of China. - Pursue Chinese language and cultural studies in Beijing, with the opportunity to take courses taught in Chinese or English in select fields. - Offers courses with an emphasis on business, economics, and management in English, with a choice of select courses in other fields. - Examine dimensions of globalization and international studies in China and as part of its expansive relationships throughout the modern world. - English-taught MBA program that offers graduate course work in English with a Chinese perspective. - Study lower intermediate through advanced Chinese language in Shanghai, with activities and excursions to enhance your understanding of Chinese history and culture.